Know that's a great project, well done great work like all the details and individuality of the build, enjoy. You have created a very versatile space. Excellent write-up, really enjoyed it! I had an "incident" with a Mazda Bongo about 7 years ago and never really thought about them since. Yours is one I would have anyway of the week. The interior wasn't what I expected but I love it. That's a great thread, love the story. I think that's much more unique than a VW, I love Japanese styling. I agree on the wheel change, you made it look much better! Fantastic job. My missus keeps going on about a campervan and doing a European tour, if she sees this thread i know what will happen. That's a superb example and the interior is awesome. I thought about doing a conversion on my Honda Odyssey, but decided it was too much work so ended up selling it as it had served its purpose. 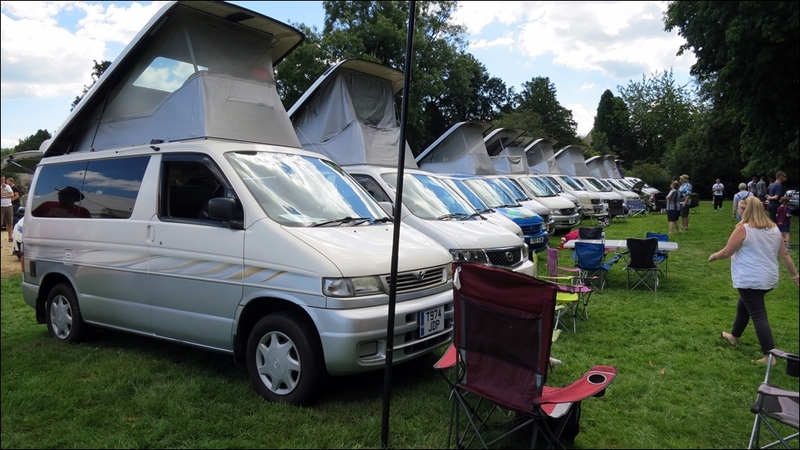 Bongos and the Nissan Elgrand have a great following at Jap shows and have always caught my eye. I'm a bit of a Weaboo when it come to Jap metal, so probably wouldn't look beyond them. Thanks for sharing the pic - nice line-up there! I think you need to show the Mrs - she gets to think you're letting her have a campervan and you get to buy a Japanese motor. Everyone's a winner! I did have a peek through the window of an Alphard which is similar to the Elgrand I think. There was a dealership with about twenty of them which I passed on the way to the Bongo show to view mine. It was a more modern and had a much nicer dash, but the styling was too wacky for me and I liked the Bongo community so much. Another great thread! Not sure what else you could do to it but look forwarding to seeing any tweaks and changes you make !